United Tool & Machine is an experienced designer and builder of custom tools and fixtures which reduce costs on prototype or production jobs. Our heritage as a tool & die and metal stamping shop translates well when applied to customer applications for innovative ways to hold work pieces. 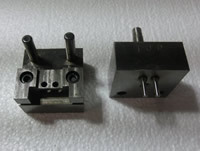 In addition to standard metal stamping tools such as progressive dies, pierce and blank dies and compound dies, we also produce various brake press tooling for short runs and prototype parts. Frequently, a small prototype tool or a series of small tools can be used effectively in a Bridgeport to produce prototype parts at a reduced cost, versus the investment required for full-sized dies. 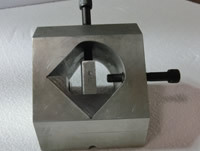 In addition, intermediate tooling is often the next step as a product graduates from prototype to limited production runs. 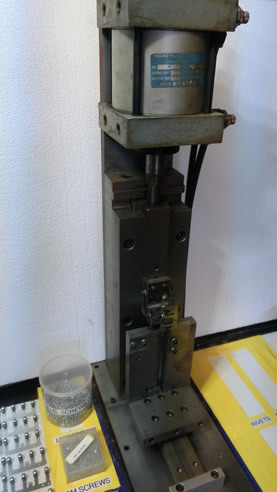 Machine fixtures to locate work pieces tightly and precisely in place are another service we offer our customers. Each fixture is designed and built to conform to the requirements of the part being machined, bent or assembled. Fixtures are ideal for either indexing or holding fast in a permanent position. We encourage customers to send us a drawing outlining their requirements. United excels at producing creative tooling and fixture designs matching customer needs and budgets while simultaneously producing creative solutions to each application.